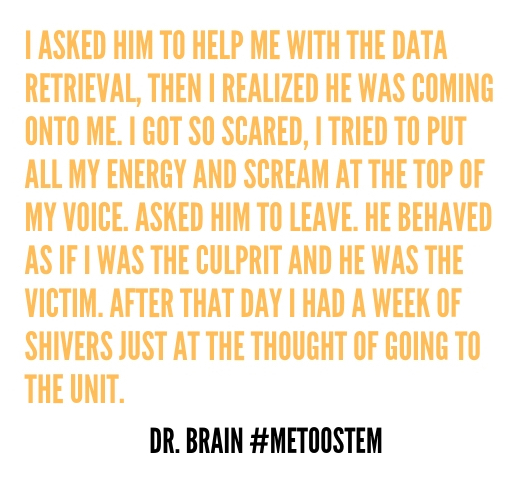 Dr. Brain’s colleague made unwanted sexual advances toward her, leaving her feeling vulnerable. My Worst Moment: When my colleague tried to kiss me. I Have Given Up On: My peace, health, trust. I’m Afraid: Nothing cause I’m not at fault. This Has Cost Me: Future career, effected my work quality. Something You Should Know About Me: I was working as a PhD student, I was friendly but in moderation. 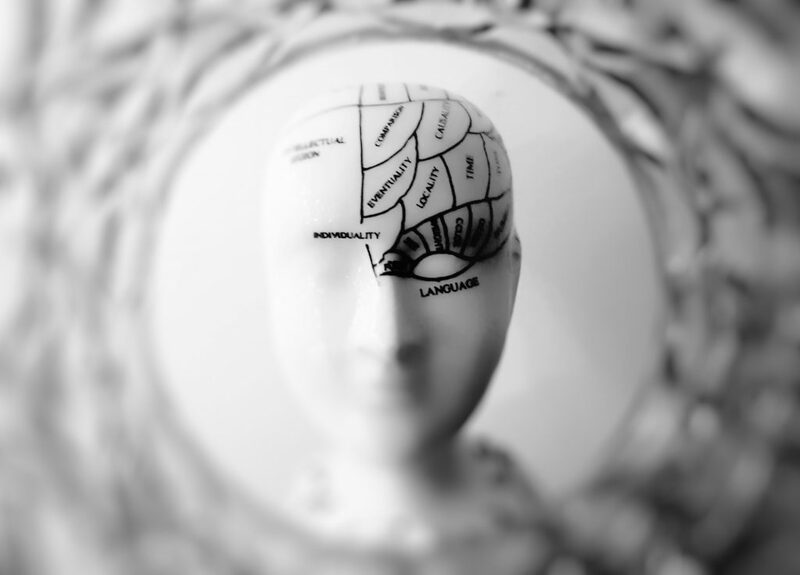 The postdoc would be the head in behaviour neuroscience and I was new to this field as I was from molecular biology. I asked him to show me the way to extract the data, the data was on the computer which was in a soundproof room behind the animal holding room. They are all over in extreme right side of the building. We all knew it’s all sealed and access was limited. I asked him to help me with the data retrieval, then I realized he was coming onto me. I got so scared, I tried to put all my energy and scream at the top of my voice. Asked him to leave. He behaved as if I was the culprit and he was the victim. After that day I had a week of shivers just at the thought of going to the unit. Also I was in self doubt, if it happened or not. I ignored him and engrossed myself in work. This was detrimental for me, it was my coping mechanism. Then if any male tried working close to me it would scare me, thinking what happened. Then I ignored when my supersion was off at his sabbatical, he would start bullying me and say what if I kiss you now, you won’t do anything. I replied him back, he said why I don’t ask for his help, how he doubted my data? All his intentions were to hurt me to maximum, to make me feel vulnerable. When I refuse to give in, he was getting more aggressive and threatening me that he won’t let me finish my PhD. Is There a Bright Side: He went to the extent of calling me crazy for my complaints and when I stood against him. I was confident that he was wrong and that stood with me. I took him out and told him, I ignored you so you learn from your mistake. If he won’t stop I don’t mind my PhD, but will make sure he doesn’t have a career after that. I had enough evidence against his harassment. Secret Weapon: Parents, faith in myself.